Great primer for the return of Heroes with some excellent interviews about the production process. Some insight into the back-story of Heroes would have been nice. Heroes: Reborn, the Event Magazine is an intriguing magazine that existing Heroes fans will enjoy, as well as acting as a useful primer for those new to the series. Heralding the return of the TV series Heroes is Heroes: Reborn, the Event Magazine, a special magazine scheduled for a limited-run whilst Heroes: Reborn is being aired. Those who are slightly older will recall the awesome first season of Heroes, as well as the subsequent seasons that suffered from the writer’s strike and the law of diminishing returns. Thus, there is a lot of back-story involved in the world of Heroes for those that are new to the franchise, especially as some of the characters from Heroes will be returning in Heroes: Reborn. 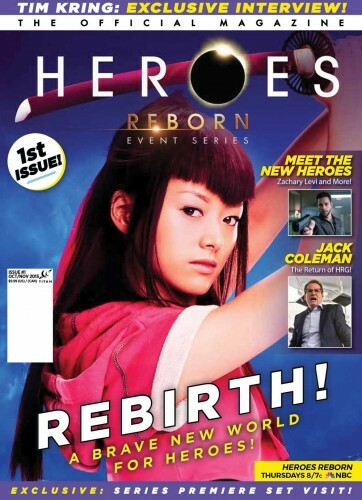 As such, Heroes: Reborn, the Event Magazine is an in-depth primer into the world of Heroes. The magazine offers insights into the characters, new and old alike, with a series of interviews with the actors. What was especially fascinating was the interview with Heroes creator Tim Kring. Unlike other magazines however, there are also interviews with directors and designers. The magazine takes care not to reveal too much of the plot for Heroes: Reborn, but there are some inevitably mild spoilers to be found. Also, the magazine does not delve into the back-story from the previous series of Heroes, which would have helped people new to the series. 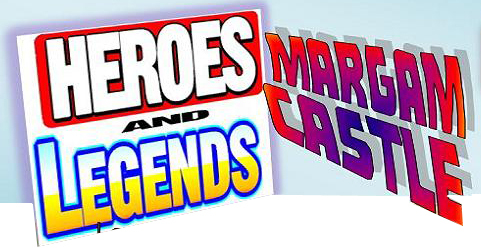 Heroes and Legends: Geek Weekender!